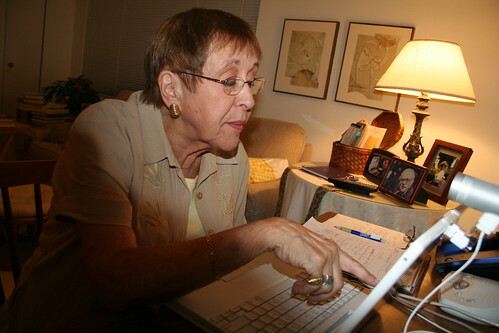 My mom wanted you to know that she's having computer problems down in Florida and won't be able to make a post this week. My computer is still not behaving - finally got a Comcast employee that set up a service call for me - not until THURSDAY - In the mean time I'll call my Florida buddy and tell him what's going on. Sometimes it works - mostly does not work. Last year or the year before a service man came down and had to do something - (a power surge - a Florida problem? I think that's what it was. Could you make a short post letting my people know that I have a computer problem? In the meantime you could tell them about OUR radio spot. My mom and I are going to be interviewed on Monday on Sirius Radio. My friend Harriet invited me to join her for an afternoon Victorian Tea Party at Abbey Delray, a Life Care retirement community, in Delray Beach. Leave it to Harriet to come up with an invite to an enjoyable and informative afternoon. Abbey Delray is unique since it offers three levels of living all within one community. You could move into an apartment and than if your needs change you could relocate to an assisted living unit on the grounds and still feel part of the community. If your needs change Abbey Delray's Life Care concept provides unlimited access for full health care services which provides both recuperative care and short - and long term nursing care. From what I understand even when you need more care the monthly fee will be virtually the same whether you're living independently or receiving health care. That's saying a lot - in otherwords you don't need to have long-term care insurance! Oh and one other thing that impressed me - They offer one meal a day, AT YOUR CONVENIENCE! That gives you some idea of what Abby Delray offers. Now about the tea party. We were invited into a private dining room and were seated at a table for eight. One of the ladies at our table told us she came to Abbey Delray when she was 80 years old and has been there for the past eight years!! My goodness, she looked wonderful, we complimented her and her response was, "I look and feel better now than when I first came. WHY, we asked? When she lived alone she was not eating right - now she's eating properly and enjoying the life style and the meals. The table was set beautifully - we were presented with a lovely selection of wafer thin crust less tea sandwichs and delectable desserts. We each had indivdual tea pots. Oh and what my friend could not get over were the lovely decorated sugar cubes that were available to us. To complete the afternoon one of residents who came originally from the Isle of Man told us some enjoyable stories and customs of a Manx tea party. She dressed the part of an english lady at an afternoon tea party - lovely long print gown and a matching large brimmed hat!! Once the tea was over we took a walk around the grounds and saw the very inviting pool area - (it was a beautiful sunny day, one of the few we've had) found ourselves some comfortable chairs and topped off a lovely day at Abbey Delray!! One of the pleasures that I enjoy is reading the daily newspaper, even if I have an early morning appointment I make sure I still have time to read the paper. I know, I know I can always get my news via the internet but I guess I'm old fashioned - I find it more relaxing to sit back and hold the newspaper in my hands. Sometimes my fingers get black from the newspaper print but who cares! 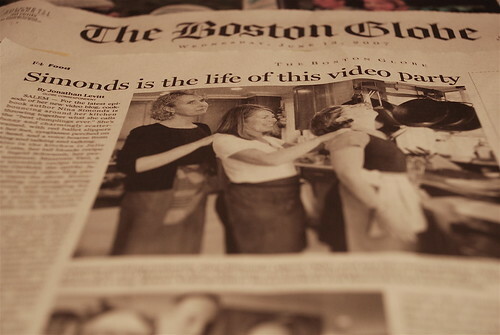 Back home I read the Boston Globe. There have been times when I have not been happy with the paper but all in all I still look forward to getting my morning fix. While I'm here in Florida I get the Sun Sentinel delivered to my door every morning. It still surprises me when I take the paper in and find there is very little to read, especially on a Monday and Tuesday. By the time I get rid of the automobile and real estate section there is very little left. Things pick up later in the week when the food section, wine ads, restaurant ads and entertainment section are featured. Another section contains ads for "all kinds of doctors, hearing aid specialists, Auto repair shops, lawyers, home improvement shops, beauty salons and on and on!! I've never seen ads in the Boston papers for doctors, I don't know whether they choose not to advertise or there is some restriction that prevents them from advertising. Even though we have had a cold spell down here, some mornings in the 30's, it's a lot better than what is happening up north. 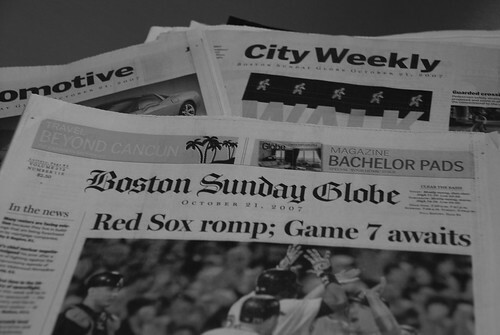 That said, I don't miss being up north now but I do miss the Boston Globe. It's time for this mom to brag about her son. 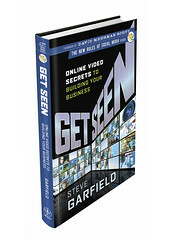 Steve's book, "Get Seen" is now available at Amazon.com and at many book stores here in the USA and Canada. 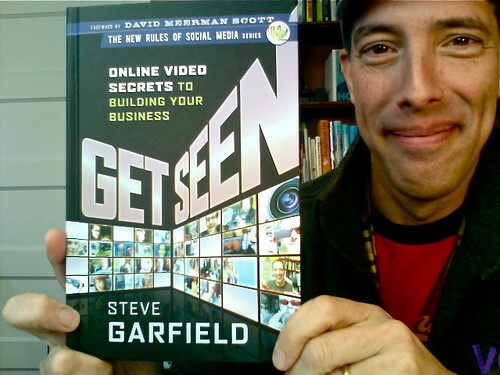 The front cover says, "Online Video Secrets to Building Your Business" but it's so much more. The forward is written by David Meerman Scott. I have read the forward many times. I like everything that he says about Steve (naturally) but I especially like when he says Steve writes the book like a blog post and it reads like something that you'd study for fun rather than for work. I'm not a techie person but there is so much that I can relate to and understand in this book. For many years Steve volunteered at public access TV stations in the suburbs of Boston. During that time he was also active in college radio. At one point in time he worked for a radio station from 3:30 a.m. to 9:30 a.m., then went in to work for a computer distributor from 10:00 a.m. to 7:00 p.m.
As parents we could not understand or appreciate his passion for what he was doing. In many cases he was volunteering his time, getting all kinds of experience and satisfaction from doing a good job. When he writes about successful implementation of video strategy it's much like you do to be successful at blogging. And now I want to thank Steve for helping me "Get Seen." 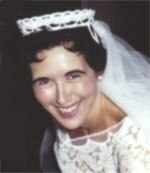 All those videos and photos that you see on my blog are done by my son, The Author!! I am very proud of the kind of person Steve is and what he has accomplished. In my last post I wrote about the movie going experience in Florida - how nearby the theaters are and how well attended they are. Well, last night I went to a neighboring town that has a new "Cinemark." Everything is BIG about it. To begin with, the parking lot is huge but apparently not big enough because they have valet parking at a charge of $5.00. We did find a half decent place to park. Upon entering the cinema, I can't refer to it as the movie theater, it's to big for that - there is a very large area to satisfy your every food craving at an exorbitant price. How about a hot dog for $7.50 and a pickle for $2.25. Maybe they give you two pickles, I would hope so. Needless to say we didn't buy any of those goodies! Surprisingly the price of admission was only $6.50. We got to the cinema long before show-time and had to wait in line until the earlier show broke. Well, after a while I found it was getting difficult for me to stand for such a long period of time. I needed to sit down, no seats anywhere to be found. It's like Las Vegas, not a seat in the house, only at the machines! My friend said, "Millie, come with me I'll find you a seat" - She took me over to "The Arcade" which had plenty of seats. I found a seat at a machine and sat there until I couldn't stand the noise anymore. By the time I joined my friends in line there was only a short time before we were allowed into the theatre. It didn't take to long before the entire theatre was filled! The movie we came to see was "UP in the AIR" starring George Clooney and Vera Farmiga. It's about a corporate downsizing expert who loves his job. It's a very timely movie with so many people losing their jobs. There were a number of scenes where you were witness to the emotions that people felt when they were told they were being let go. There were parts that were sad, some humor, some romance and if you are in the corporate working world it could really hit home. I have always appreciated what Clooney has done but this time I think he really hit the nail on the head. He WAS the person he was portraying!! The movie was great but I won't be going to that cinema again. Give me the little movie house around the corner anytime!